Hulda Smith married Stephen Haughton, son of Sampson Haughton and Mary McGregor. William Edgar Haughton married Harriet Zenett Hendryx in Jul 4, 1857 at Morenci, MI, USA. William Edgar Haughton married Harrit (?) in circa 1885 mar 15 y in 1910 census. Palmyra Haughton married Naaman Merrill in Dec 22, 1858 at Morenci, Lenawee Co., MI, USA. 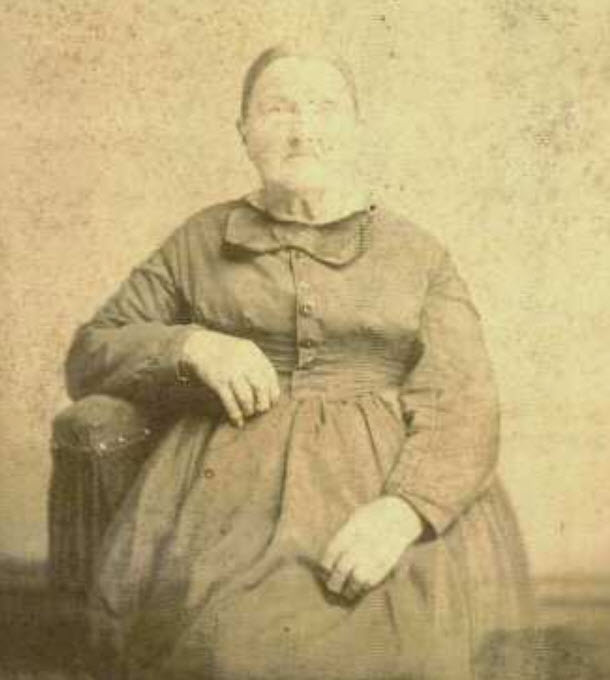 Emily Haughton married Daniel Curtis in Aug 28, 1856 at Clark Co., IL, USA, Book 3, p. 34. Emily Haughton married John McKay. Clarissa Haughton married Rev. 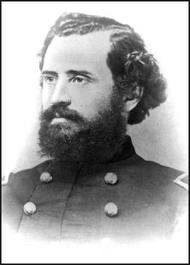 Warren B. Hendryx in Feb 22, 1858 at Lenawee Co., MI, USA. Malvina Haughton married Amasa Banker Verity in Jul 4, 1861 at Lenawee, MI, USA. His second marriage was to Mary Truesdall. Duplicate Went to CA circa 1849 & did not return. Cyrus Haughton married Marina Adams. Marina Adams married Cyrus Haughton, son of Sampson Haughton and Mary McGregor. Amanda Haughton married Augustus Haughton, son of (?) Haughton. 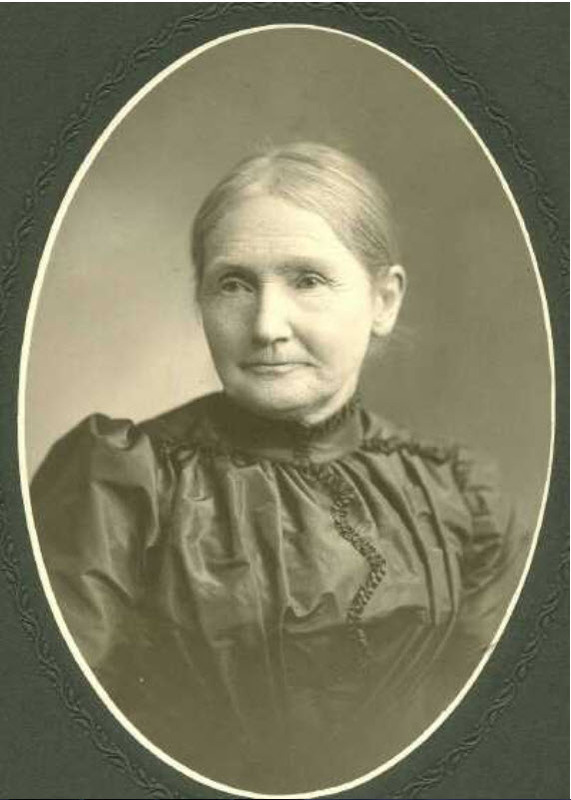 Amanda Haughton married James Annis in Mar 1, 1877 at Eaton Rapids, Eaton Co., MI, USA, First Methodist Church. Harriet R. Haughton married Jonathan Brown. Elizabeth A. Haughton married Irwin Brown. Ira Haughton married Isabel Burge. 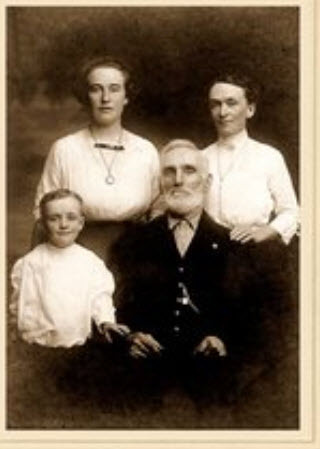 Ira Haughton married Elizabeth Gass in Aug 10, 1906 at Mt. Clemens, MI, USA. 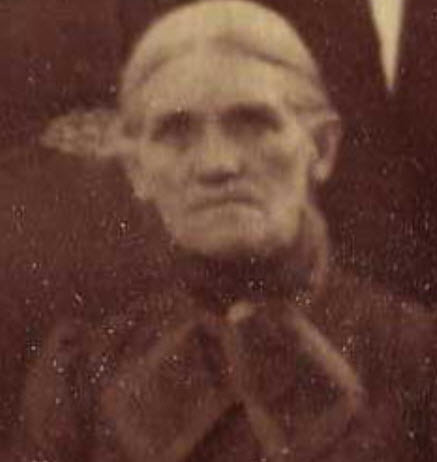 Mary M. Haughton married Josiah Cutting in circa 1877. Lyman Haughton married Mary Susan Smith. Lyman Haughton married Keren Happuck Woolverton in Jan 27, 1829 at Ryder's Corner, Charleston, Montgomery Co., NY, USA. Keren Happuck Woolverton married Lyman Haughton, son of Sampson Haughton and Mary McGregor, in Jan 27, 1829 at Ryder's Corner, Charleston, Montgomery Co., NY, USA. 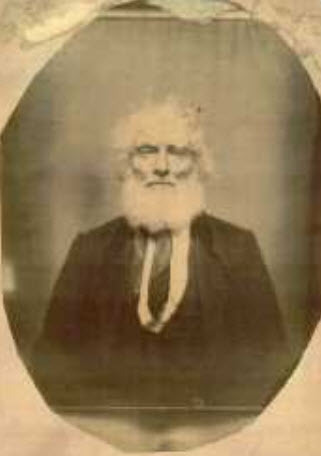 Hiram William Haughton married Marian Sylvania Roop. Nathaniel Haughton married Frances Caroline Bush in Aug 3, 1863 at Lucas Co., OH, USA. Ruth Ann Haughton married George R. Ferguson in Jun 11, 1866 at Washington Twp, Lucas Co., OH, USA. Adelia Jane Haughton married Michael J. 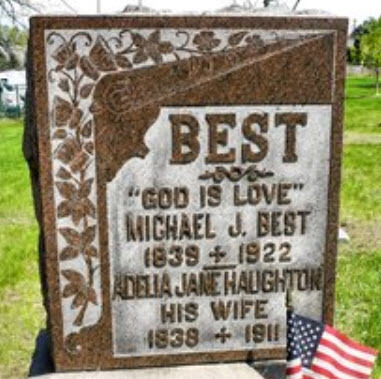 Best in Jun 11, 1866 at Lucas Co., OH, USA. Solon Haughton married Cynthia R. Shirley in Jun 11, 1866. 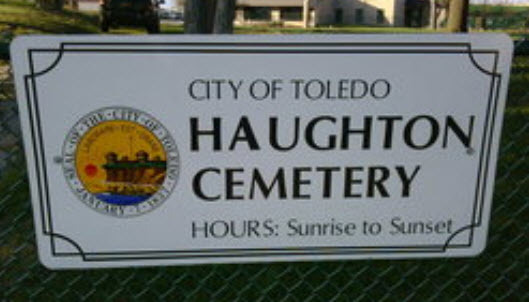 Burial Haughton Cemetery, Toledo, Lucas Co., OH, USA, Hers is the oldes Haughton stone still standing in 2002. 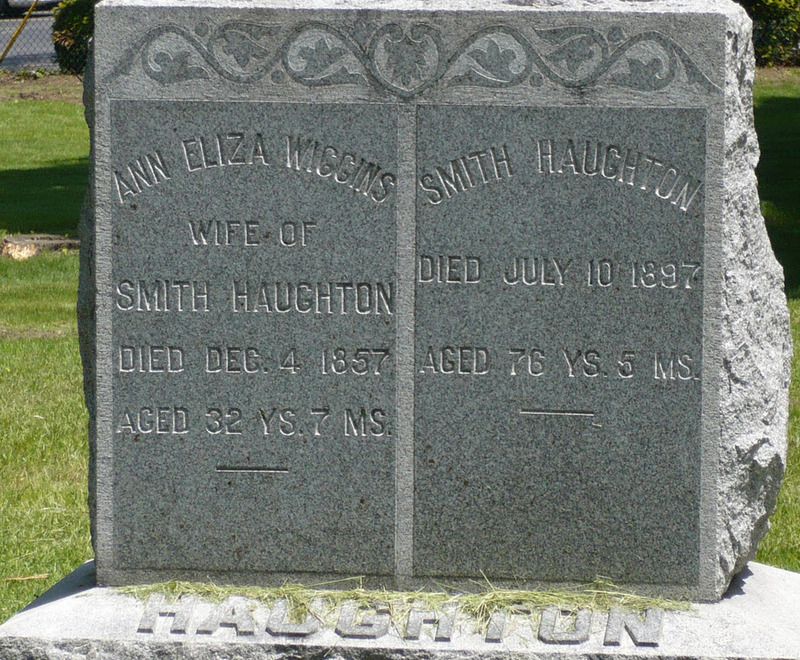 Smith W. Haughton married Ann Eliza Wiggins. Ann Eliza Wiggins married Smith W. Haughton, son of Lyman Haughton and Mary Susan Smith. Frances Haughton married William A. Watson. Electa Ann Haughton married Willard Haughton, son of William Haughton and Elizabeth Kinney, in May 25, 1868 at Adrian, Lenawee Co., MI, USA, Mar 22 y in 1900 census.